La nostra antica e tipica bianca masseria pugliese offre il massimo dell’accoglienza e ospitalità , e si possiede, come da impostazione ricorrente, un cortile centrale interno, con camera circondata da mura in pietra viva, ricavata da ambiente in cui in passato venivano svolte attività agricole. 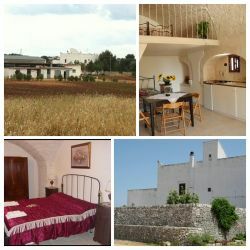 La Masseria Puglia Antica in regime Bed and Breakfast è situata a pochi Km da Monopoli, uno dei centri murgiani costieri più affascinanti e rinomati per la bellezza dei vicoli del suo centro storico, e l’ alternanza di spiagge sabbiose e rocciose esclusive di questa parte pugliese. Vi offriamo una totale immersione in un mondo in cui il tempo pare sospeso nella serenità delle campagne più ricche di tradizione insieme alle attrazioni che troverete lungo la costa di Monopoli. francesecamera, tutte arredate con sobrietà e cura dei dettagli. 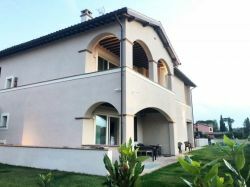 Our typical old white farmhouse offers the ultimate in hospitality and hospitality, and you have, as set by the applicant, a central courtyard , with room surrounded by walls of stone , carved from the environment in which activities were carried out in the past farm . The Masseria Puglia Antica is a Bed and Breakfast or Holiday home- it depend from your need- located a few kilometers from Monopoly , one of the most enchanting coastal murgian renowned for the beauty of the streets of its old town , and the ' alternation of sandy and rocky beaches which are exclusive to this part of Puglia . We offer a total immersion in a world where time seems suspended in the serenity of the countryside richer in tradition along with the attractions that you will find along the coast of Monopoli. Among the services we offer , such as mountain bikes to cycle through the cycling paths made around the structure , the rich breakfast with homemade jams and bread always cooked at home we have a fabulous riding with equestrian school ; Equestrian Academy. 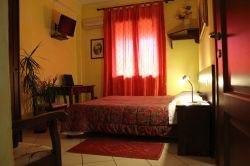 Customers can choose from, also , depending on your needs if you book an apartment or a single room , all furnished with sobriety and attention to detail. Unsere typischen alten weißen Bauernhaus in Apulien bietet in der Gastfreundschaft und die Gastfreundschaft der ultimative , und Sie haben, wie die Klägerin , einen zentralen Innenhof , mit Raum durch Wände aus Stein umgeben , von der Umgebung, in der Aktivitäten wurden in der Vergangenheit durchgeführt geschnitzt gesetzt Bauernhof. Die Antica Masseria Apulien unter Bed and Breakfast befindet sich nur wenige Kilometer vom Monopoly, eine der schönsten Küsten murgiani bekannt für die Schönheit der Straßen der Altstadt, und die " Wechsel von Sand-und Felssträndesind exklusiv für diesen Teil von Apulien . Wir bieten Ihnen ein Eintauchen in eine Welt, wo die Zeit scheint in der Ruhe der Landschaft reicher Tradition zusammen mit den Attraktionen, die Sie entlang der Küste von Monopoli finden suspendiert. francesecamera , alle mit Nüchternheit und Liebe zum Detail eingerichtet .